The Carbon base layer range from the Superdry Snow collection is designed for layering underneath the tech snow ranges and providing thermal protection. This range has antimicrobial and moisture wicking properties, perfect for keeping you warm and dry in the coldest conditions. Superdry men’s Carbon base layer legging. 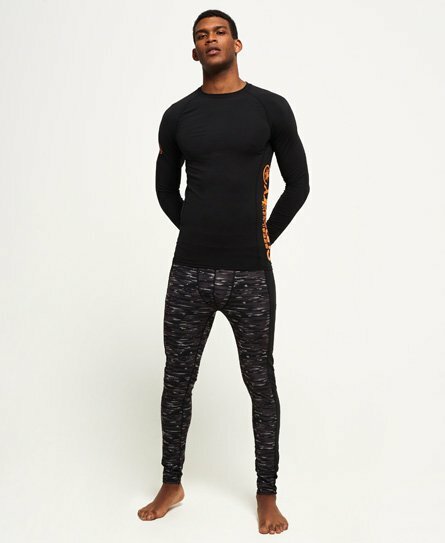 These highly breathable leggings are perfect for being on the slopes. They have a Superdry branded elasticated waistband and are finished off with a Superdry logo at the bottom of the right leg.